When it comes to enjoying the commanding performance of an SUV, the 2016 Chevrolet Suburban has long proven its value with drivers in Bloomingdale and Glendale Heights thanks to its V8 power, available four-wheel drive, and spacious and well-equipped cabin. The 2016 Honda Pilot might garner some attention, as well, but in the areas that matter to most SUV buyers, the 2016 Chevrolet Suburban remains the leader. Find out why before taking it for a drive at Sunrise Chevrolet. If you’re looking for the vehicle with more horsepower, torque, and towing capacity, the 2016 Chevrolet Suburban is the clear choice. No matter which version of the Chevrolet Suburban you go with, it’ll be fitted with a 5.3L V8 engine and a six-speed automatic transmission. This system produces 355 hp and 383 lb-ft of torque. That’s enough power for the Suburban to tow up to 6300 pounds when properly equipped. Meanwhile, the 2016 Honda Pilot’s only engine option is a 3.5L V6 that puts out just 280 hp and 262 lb-ft of torque. The most the Pilot can tow is 5000 pounds. When it comes to off-roading, the 2016 Chevrolet Suburban has an advantage over the 2016 Honda Pilot. As a truck-based, body-on-frame, full-size SUV, the Suburban was built to handle difficult conditions. Add to that its standard rear-wheel driver and available four-wheel drive systems, and it’s clear this model is built for trekking. 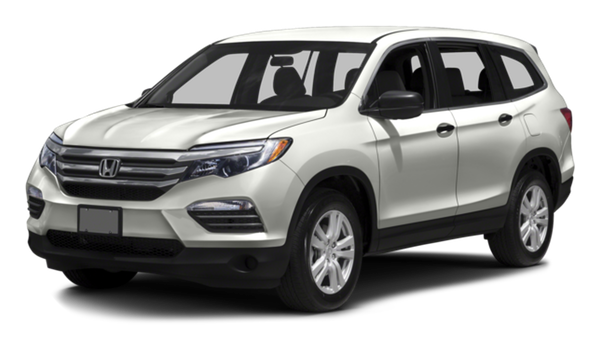 On the other hand, the 2016 Honda Pilot is a car-based crossover, and it’s only offered with front-wheel and all-wheel drive. Unlike four-wheel drive, all-wheel drive can’t direct power to individual axles based on the challenges and demands of the terrain. 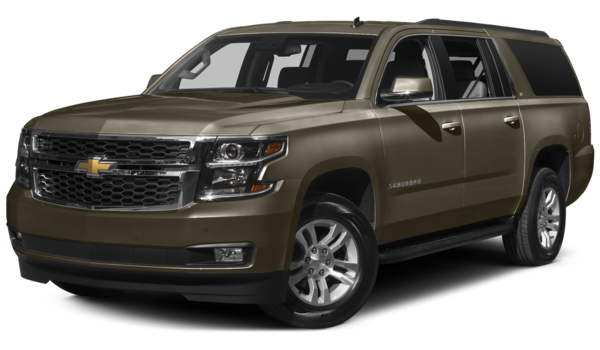 Both of these vehicles are large three-row SUVs, but when you’re looking to accommodate the most stringent passenger and cargo demands, the 2016 Chevrolet Suburban is the champion. Chevrolet Suburban: This model has standard seating for eight, including a second- and third-row bench seat. You can also get second-row captain’s chairs, but that decreases seating to seven. For those who plan on hauling the most passengers, a nine-seat version is available when you make the first-row a bench seat, as well. In terms of cargo, the Suburban has 39.3 cubic feet of space behind the third row and a maximum cargo volume of 121.7 cubic feet. Honda Pilot: The 2016 Honda Pilot also comes with standard seating for eight and a seven-seat version when you opt for second-row captain’s chairs. Unlike the Suburban, though, the Pilot can’t accommodate nine people, and it also falls behind the Suburban when it comes to cargo, with only 18.5 cubic feet behind the rear seat and a maximum cargo volume of 109.2 cubic feet. The 2016 Chevrolet Suburban is waiting for you right now near Bloomingdale at Sunrise Chevrolet, located at 414 E. North Ave in Glendale Heights, IL. Contact us today to set up a test drive, or simply stop by and take it for a spin!